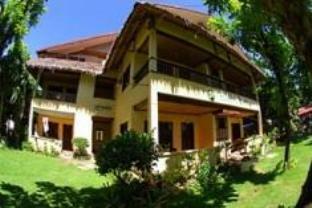 The Amigos Beach Resort is perfectly located for both business and leisure guests to Boracay. All of the 8 rooms of this 3-story property are all equipped with modern in-room amenities. Each guestroom has air conditioning, bathrobes, desk, internet access (wireless), television, shower, mini bar. To suit guests' convenience, this Boracay accommodation offers room service, hotel/airport transfer, tours, babysitting, bicycle rental, WiFi , family room. To unwind, guests can enjoy the leisure facilities provided on The Amigos Beach Resort's property, including water sports (motorized), water sports (non-motorized). Modern comfort and convenience are seamlessly combined to ensure the guests' satisfaction. To book a room easily at the Amigos Beach Resort, please submit your travel dates and proceed with our secure online reservation form.